Not all tires are created equally. While there are seemingly endless options, each tire type uses different treading and rubber to perform better in specific road conditions. 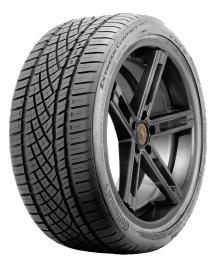 The following is a look at the distinguishing characteristics of the three most popular tire designs. It's important you understand the differences between the three most popular tire designs—that way you can determine which tire type is best suited for you. As you might imagine, summer tires perform best in warmer temperatures. Although at first glance a summer tire might look almost bald, the treads are designed to give the tires more contact with the road. Combined with the use of softer rubber, the flatter tread gives summer tires more grip and agility than the other two tire types, even if the road is wet. These tires are a bad choice for winter; but once the average temperature stays above 50° F, they are safe to use. Remember, while summer tires do improve handling and traction in appropriate conditions, drivers will likely notice more road noise than they would with other tire types. 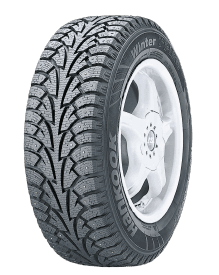 Not surprisingly, winter tires are best used during the colder months of the year. If you live in an area where temperatures routinely drop below 45° F, you should consider investing in a set. The rubber used to make winter tires keeps them softer in the cold and allows them to handle better and brake faster than summer and all-season tires. Winter tires are also made with deeper, grooved tread patterns that help maintain traction on snow- and ice-covered roads. Studies have shown that winter tires used in the proper conditions greatly improve stopping distance. So when you notice temperatures routinely rising above 45° F, it's time to make an appointment with your local Pep Boys to remount your vehicle's base tires. All-season tires are the most common tires found on newer cars. These tires are perhaps misnamed, depending on where you live. If you are in an area where the temperatures routinely drop below 45° F, all-season tires are best for the spring, summer and fall seasons. 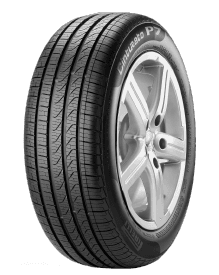 However, if you are in a state that does not get overly cold or experience heavy winter precipitation, all-season tires can be used year-round. All-season tires are manufactured to handle several different conditions including dry, wet, and light snow-covered roads. As an added bonus, they tend to be more fuel efficient than their summer and winter counterparts. To learn more about the types of tires we sell at Pep Boys, visit us at our Tires by Type page.